After my track season in 2012, I had the 944 pretty solid mechanically and had all the safety gear installed that I wanted (full cage, Hans device, 6 point harnesses, Joie seat, fire suppression system, master cut-off switch, wink mirror). It was time to spend some money on some go faster upgrades. 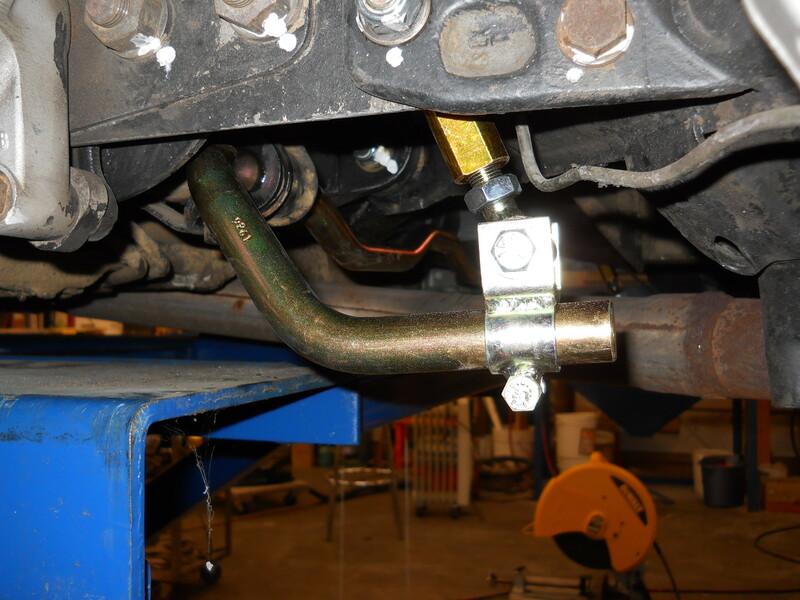 The stiffness of the bar can be adjusted by sliding the drop links back and forth on the sway bar end. 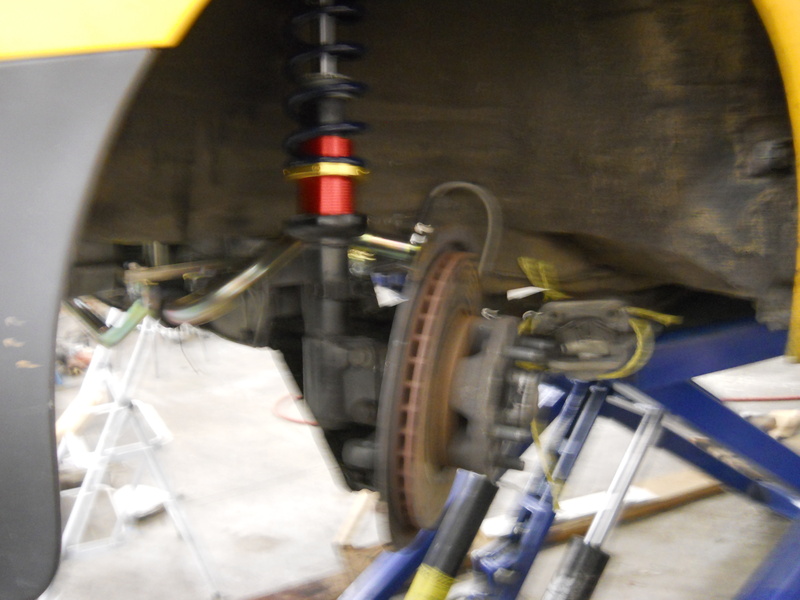 Next came the coil overs. 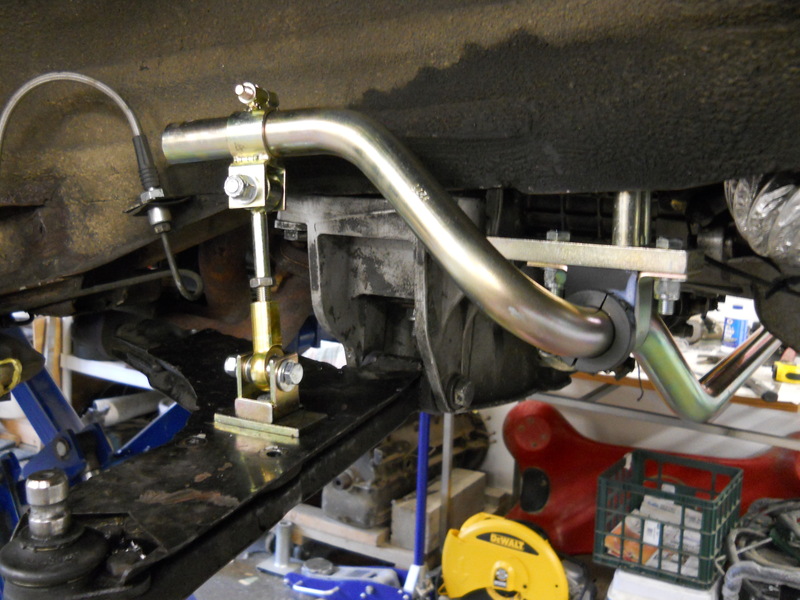 The parts will fit up to my early model strut tube with no modification. That said, per the advice of Jason at Paragon I decided to cut back the spring mount to give better access to the height adjusting ring. The new yellow Koni strut cartridge inserts cleanly into the strut tube. The directions were not clear but the pictograph is trying to say “Add some anti-freeze to the tube”. Jason says this helps heat transfer from the hot cartridge during heavy track use. You put the screw on cap back on. But before you do this, install the spring height adjustment pieces, as they won’t fit over the cap. 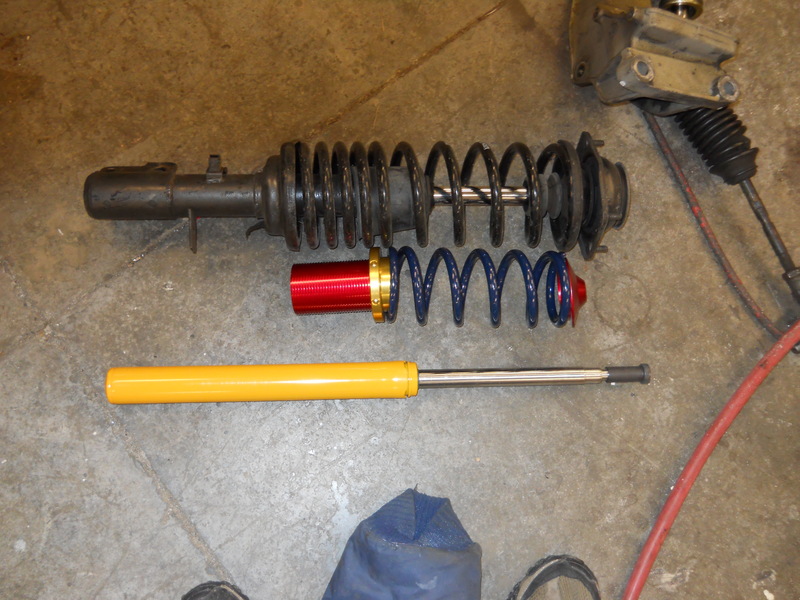 Then you can set the spring into place and install the bump stop over the shaft. Here are some pics of the installed pieces. 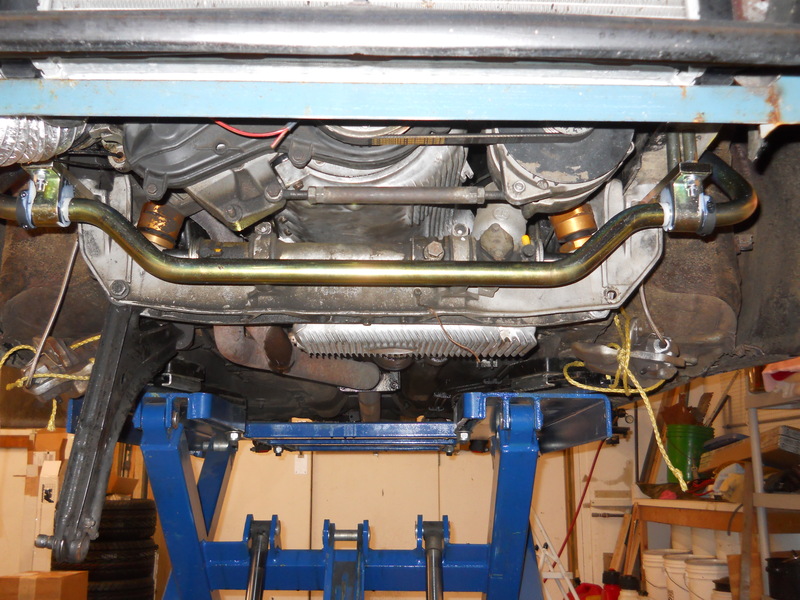 At the rear, I installed 30 mm torsion bars and 22 mm Weltmeister sway bars. And Koni shocks. 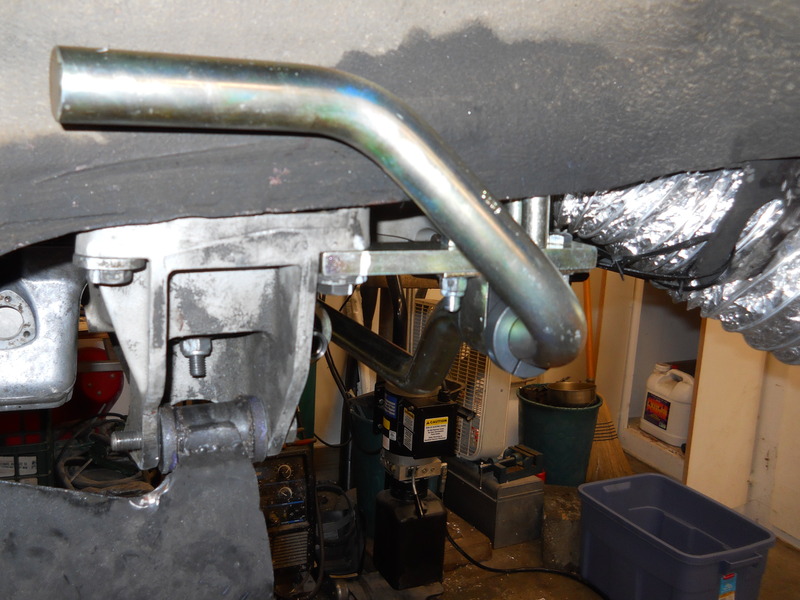 The torsion bars are not very photogenic. 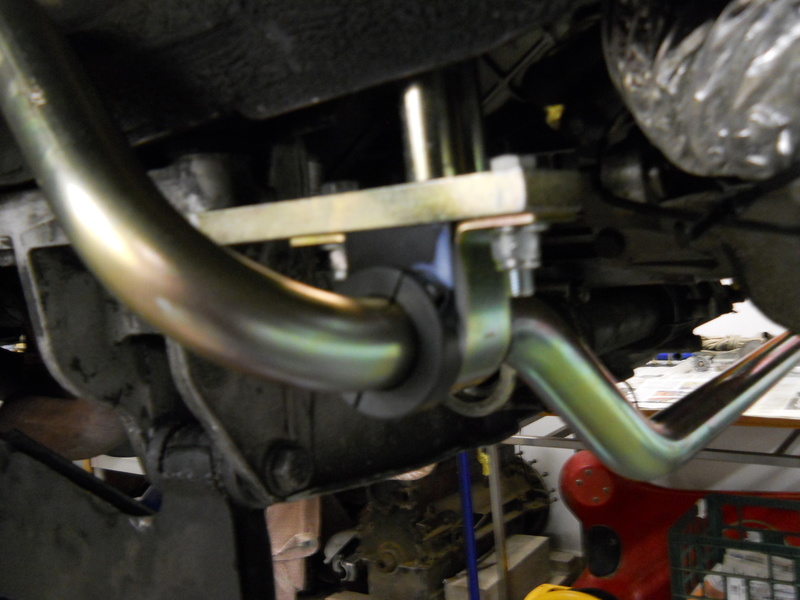 Actually neither is the sway bar but here is a photo. 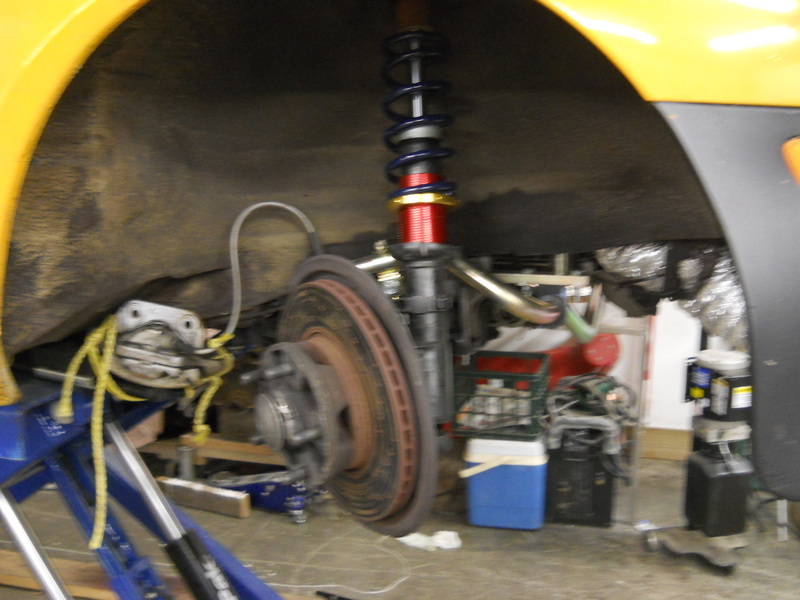 Has taken me substantial time to get the car into balanced understeer/ oversteer shape but now its’ getting there. 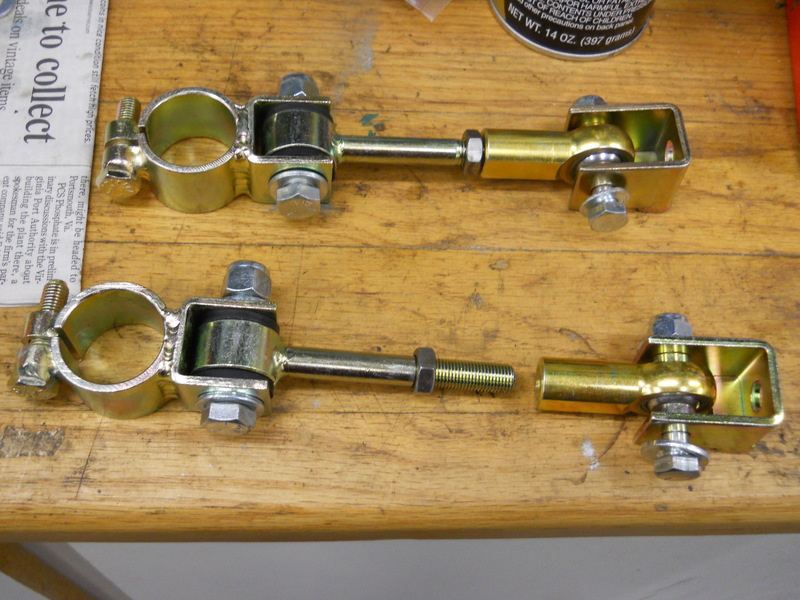 What I have found that the key is to keep the relative balance front-rear so that it goes in hand with your 50/50 cross/front back corner weights. As general comment I think these cars can handle more spring rates and sways than normally discussed thus reduce body roll. With right camber and alligment these old 944 can be made very very fast.